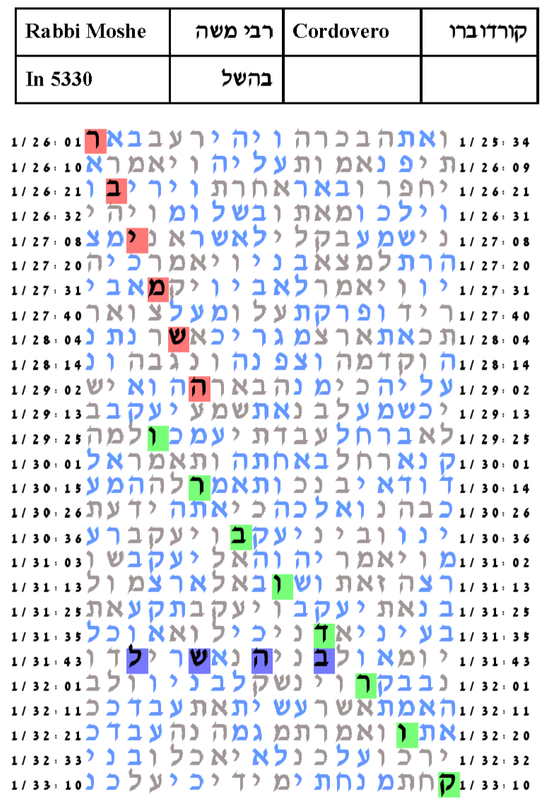 Professor Haralick tried the date 23 of Tammuz as an additional key word, but the resulting tables were not significant. Then he tried the year 5330 as an additional key word. This produced the table below. The probability that a text from the ELS random placement text population would have as small an area table as this one is 99/10,000. The expected number of ELSs was set to 100. The cylinder size is 549. The probability that a text from the ELS random placement text population would have as small an area table as this one is 99/10,000.